Exclusive transparent YELLOW coloured vinyl limited to 450 units worldwide! ARCKANUM rips souls apart with its highly individual brand of trollish Black Metal! 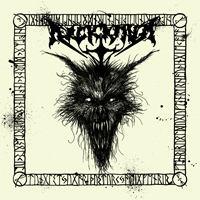 Including the exclusive bonus track "Lycanthropia" (NECROMANTIA cover). For fans of BEHEXEN, DRUDKH, DARKTHRONE & WATAIN!